1 Professional EMF Tester(Safety Survey) - In short! 3 Radiation measurement and life in the real world. 3.8 Measurement techniques and tests protocols. 3.11 Controlling the radiation source. Professional EMF Tester(Safety Survey) - In short! One time measurement, in a world of changing EMF levels. 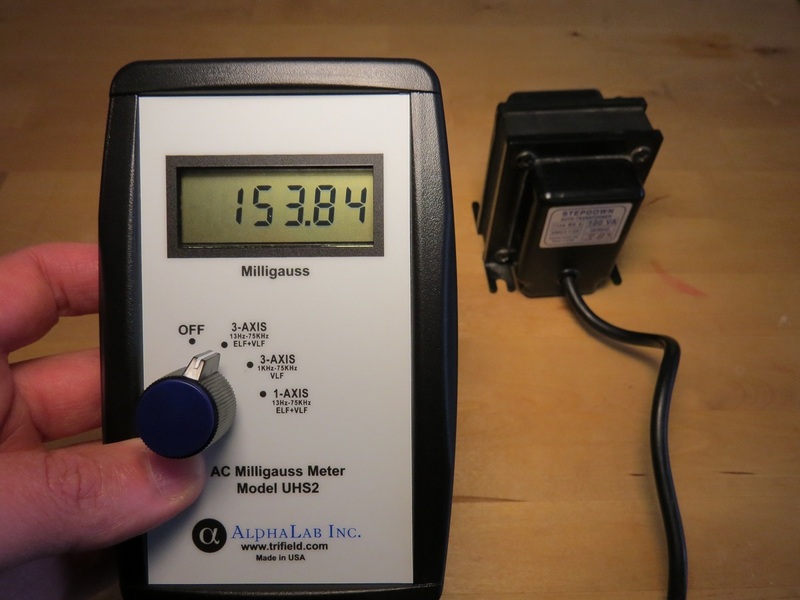 Usually measurement of outside EMF sources and not in-house sources. Usually, very accurate EMF meters are used. Usually very slow (low sampling rate) meters are used (2/sec) which will not be able to detect modern low Duty Cycle signals like WIFI, BLUETOOTH, UMTS, CDMA, DECT, Pulse Radars, and sometimes even cell phone towers). In some cases, the testers are using RF meters which can't measure or will not report levels below 6.1uW/cm^2, while levels below this limit can still cause EHS symptoms. In some countries, the test protocols are not satisfactory and are base on the ICNIRP guidelines. According to the ICNIRP guidelines, the levels should be average over 6 minutes. So the tester will report only low levels. ICNIRP safety standards which are based only on heat effect are very high. If the tester will follow them, even high levels of 10uW/cm2 (100mW/m2) will be considered "safe". Most of the professional testers don't acknowledge the health effects and risk caused by exposure to EMF radiation. Summary - A professional test will fit if you can't do the measurement yourself, or if you need the formal report. Before ordering this service please take into consideration the downsides and problems of the service mainly does the tester acknowledge the risk from EMF, the test protocol he use, the standards and regulation he works by, and the way he uses his meter. 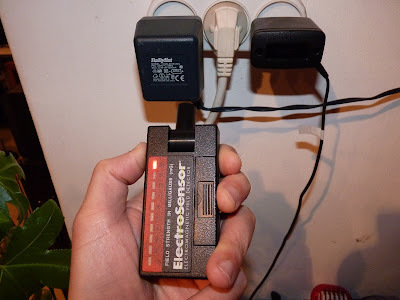 These downsides and problems are many and influence the outcome of the test in such a big way that in most times you will get a cleared and more informative picture by doing the test your self and by using a much cheaper, less accurate home use EMF meter. Ordering a test by a professional EMF/EMR tester is an easy way to measure the Electromagnetic Radiation (EMR) in your house or workplace. But it usually costs a lot of money and the tester measures the EMR only for a short period of time, during the day he or she pays you a visit. However, usually the quality and accuracy of his or her equipment are usually very high and the official report is valid in courts and for the official authorities as evidence. In some countries, professional testers are subjective to laws and regulations that can sometimes conflict with your need for real information of value. 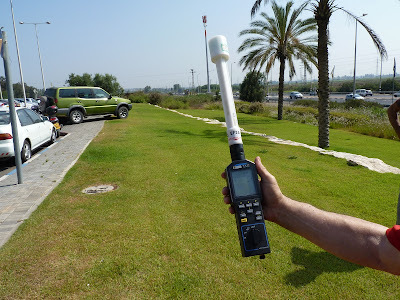 For example, in Israel, the testers are obligated to tell you the level of Radio Frequency (RF) EMF/EMR with a comparison to the Israeli standard, which I believe is very high. In Israel, the RF standard for RF environmental radiation is 10% of ICNIRP, which I believe is very high. In Canada, the US and other countries the safety standard is 100% of the ICNIRP, which again is very very high. This may calm you down in some cases, but it can also blind you to a real problem of EMF/EMR in your house. In some cases, the professional tester will know less than you do, about EMF/EMR, and its health risks and effects and about EHS. In some even more drastic cases, the so-called professional tester will know less than you, about measuring EMF/EMR. When you do choose a professional tester it is very important to choose the right one. A good tester will do the measurement in the right way, will expose all the EMF/EMR sources in your house and outside it, will give you some advice about what to do in order to decrease the EMF/EMR levels in your house; even if it is very low in reference to the high EMF/EMR Levels standard (long obsolete regarding long exposures) and will submit a valid and truthful report. Radiation measurement and life in the real world. Sometimes it is not enough to invite a professional radiation tester since there are some differences between the world of professional measurement and the real world. In the following paragraphs, I will try to explain this gap and what it means. A professional tester that is aware of the risk of exposure to EMF (RF or/and ELF) will more likely perform the test in a better and sticker way. 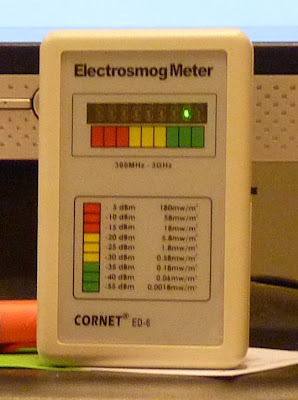 A professional tester that does not acknowledge the risk of exposure to EMF in relatively low levels will most likely will not pay attention to low levels (which can still cause symptoms with EHS people or which can still be considered unhealthy ), will not pay attention to indoor ELF and RF sources (like cordless phones, WIFI routers and other), and is more likely to operate the meter in a way that will show lower levels (for example the average function). This is why it is extremely important to make sure that the professional tester that you want to hire acknowledge and understand the risk. In some countries, according to the regulations, the tester might not be able to write that relatively low levels pose a risk, but he will still be able to warn you and to give you tips to reduce exposure. The levels being measured are relevant only for the time and date that they were measured in. Since the levels of RF and ELF EMF are changing according to the demand, a single time measurement is not very helpful. When doing the measurement using a home use EMF meter it is possible and recommended to repeat the measurement several times, in different hours and days, until the radiation pattern and high peak hours are revealed. Since the measurement of a professional tester is a one time event, it is recommended to ask him to come in peak hours. In some countries, the professional testers are not allowed to measure RF and ELF levels from in house appliances and device. In most countries, the professional testers have to follow the ICNIRP of FCC/IEEE so-called safety standards. Since these standards are so high, every test outcome would be within standards norms. In some cases, the levels measured will be reported as a percentage of these none protective standards, which will create the impression that these levels are very low. Please press here to read more about ICRNIP's, WHO's, other countries and our recommendations for reasonable RF and ELF exposure levels.. In most countries, the "Safety Servery" protocol directs the professional testers to measure only the averaged level over a number of seconds or minutes. Professional safety meters can be set up to show the average level. The outcome of such measurement will usually be very low because modern digital RF signals are usually changing all the time, with many short transmissions (uSec, nSec, and mSec). This way of testing was OK in the analog world because In the old analog RF world the signals were slowly changing and pretty much constant (for example AM). For example, WIFI signal is very fast changing, frequency hopping, and spectrum spread. The signal from a WIFI router that is not sending data to any PC or tablet is transmitting a Bicon signal in MAX output level possible, for 10 short burst every second. The average of this signal is very low since most of the time it is OFF. But there is 10 max power burst every second (that are missed or are being averaged with 0 by the meter). In most professional testing equipment there is a possibility to set up the meter to measure peak or average levels. Most professional tester use the average mode and report much lower level. This is, most possible, the most important characteristic of an RF meter, even more, important than it's accuracy. A RF meter with a slow sampling rate (2/sec) will not be able to catch, measure and show the high peaks of short RF transmissions, even if it will be setup to show peak levels. In the digital RF world signals are changing in a nSec, uSec, mSec level. WIFI, DECT, UMTS, BLUETOOTH, CDMA, pulse radar, even cell tower and many other modern digital signals are based on many, very short (mSec, uSec, nSec) pulses. A slow meter will not be able to "see" the fast signals. Just for reference, the CORNET ED78S, our recommended home use EMF meter (1/2016) measure 3500 samples every half a second and shows the Max Peak and Average value. A slow meter will show outcomes levels that are a fraction of the peak level (we believe that every peak and pulse influences the body). A slow meter that measure Average levels (as most professional tester do) will show even a lower level. Not all professional RF testers will use a fast RF meter that is able to measure the short high peak level correctly. When RF(Radio Frequencies) EMF (Electromagnetic Fields) radiation professional measurements are concerned there is a grate impotency to the sensitivity of the meters. Most of the professional meters can scene RF levels of 0.1 uW/cm2 and up. EHS people, me included, feels pain and other symptoms at levels mush lower than 0.1 uW/cm2. What would the professional measurements results would worth to us or to people who are relay concerned with the health effect of RF EMF? Would you consider the a level of 0.1 uW/cm2 safe? I recommend that one of the first thing you check with a professional EMF tester is how sensitive his RF meters are. Measurement techniques and tests protocols. The way the measurements and tests are performed is very important. In Israel, professional testers are obligated to test the radiation levels only at the high of one meter above the floor, and one meter from the walls. Such measurements do not take into account the possibility of an employee who decides to place his chair 1 feet away from the wall which is next to a power transformers room, or another case in which a worker sits on the chair at a height of 50 centimeters above the floor when below it there is a power transformer room. What about the baby crawling on the floor with in-floor electrical heating system? The baby will be exposed to much higher radiation levels than the levels that will be measured at a height of one meter from the floor by a licensed professional radiation tester. Both simple and professional RF radiation meters show the RF EMF/EMR level in only a single frequency. Most of the RF meters select the frequency in which the levels are the highest and show these readings. In most cases in front of a cellphone mast you will be able to measure RF EMF/EMR in several (sometimes even more than 20) different frequencies. The meters will show you only the level of one frequency and the level will be much lower than the actual levels you are exposed to (since you are exposed to all the frequencies). In addition, in most professional meters the tester can change the meter's setup so it will measure the RF EMF/EMR in different ways (for example - average over a few seconds or from the time the meter was turned On). Each way will lead to a different outcome. In order to understand fully the measurement that was taken you need to read the full report of the test, or to take part in the tests. Even then there is a lot of room for errors in the measurement process and configuration. It is important to remember that in front of a cellphone mast, or in other test environments there are sometimes many sources of EMF/EMR in different frequencies, and the meter can usually measure only the highest level but can't measure or calculate all. 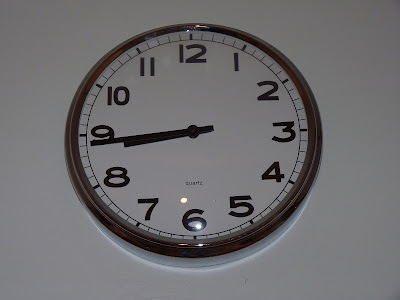 Measurement results can be different at different times of the day. Low frequency electromagnetic radiation levels, from the electric power network, will be higher during peak electricity consumption hours and will be lower when less people use the network. The same thing goes for radiation levels from the cellular network. When many people use the cellular network services, for example, at noon, cellular antenna radiation will be very high, when at night it will be very low. 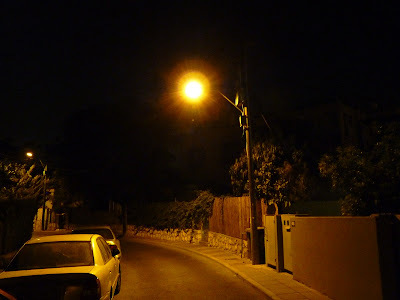 Another example is that in day time all the street lights in the city are off but at night time they are on. In this case low frequency electromagnetic radiation from the power lines will be lower in the day time and higher in the night time. Day or night, Winter or summer, when residents in your neighborhood will use more electricity, for heating or air conditioning, the electromagnetic radiation from the electricity power lines will be higher. If the professional tester will visit you at noon he might measure very low radiation compared to radiation that will be measured in the evening peak time, in residential neighborhoods (18:00-21:00 week days for ELF). So, the hour that the test is done at has a real impact on the results of the measurements. Radiation sources can be shut down. If a cellular company knows about the measurement it can lower the transmission levels or shut down the antenna during the test. In this case, measured values will be very low compared with the actually existing values at most days when the antenna operates at full strength. Another example is the shutdown of an entire high voltage line (electric company does it all the time to perform maintenance work on the lines or to control the power supply sources and consumption) during the measurement that will cause the measured levels to be very low compared to the daily situation when the line runs in full order. Summing up, control over the radiation source can result in a significant change of the measurements results. 650KHz, 1.2MHz, one frequence between 10MHz and 20MHZ, 80MHz, 200MHz, 400MHz, 800MHz, 1800MHz, 2400MHz, 7GHz, 18GHz, 23GHz. The measurement is done in a lab condition for only one signal at the time, a signal which is constant. While the measurements in the field are done for many signals, most signals are multi frequencies and frequency hopping and that appear and disappear thousand of times in a second. What good this calibration method is if it is so different then the condition in the field? 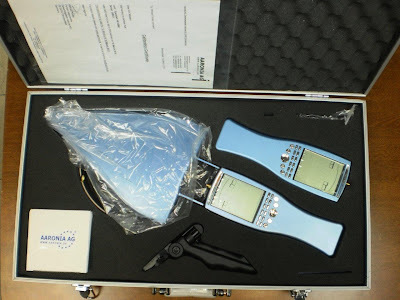 This calibration protocol allow professional meters that are not able to deal with fast changing, multi frequency, frequency hopping signals, created from multiple sources, to pass the test, but when they are used in the field, it is possible that they will show only a small amount of the RF radiation. You can ask the following question (most relevant for RF tests) before or during the safety survey in order to understand the background of the professional tester, how the test is done, what are the equipment characteristics and other details that will allow you to better understand the test, it's outcomes and it's quality. Safety Survey meter model (should be included in the report)? Sensor model (should be included in the report)? Where and how the meters where calibrated (please see the calibration section above)? How many times in a second the meter measure the RF radiation ( a slow meter will be reliable only if and when FM/AM, TV broadcast and measurement of constant RF radiation. A slow meter can measure the RF level once in a second. A fast meter will be able to measure thousands of times in a single second). How many times in a second the meter shows the outcomes? What does the value that the meter display represent? is it a max peak value, an Average over couple of seconds or minutes, average since power up, average over a room or a erea (for example, if the meter measure 10 times in a second and update the display every 0.5 a second it is important to understand how is the displayed value calculated, it can be the max peak measured in the past half second, or the average over the past half second)? What does the value that is written in the report represents? Max over time, Average value over time, Average over an area, Max over area? What is the frequency resonance of the meter? Is it a single axis or a tri axis meter? What is the lowest level that the meter can show(better be as low as possible, lower than 0.01uW/cm2)? Does the report going to show all measurement points in every room, one point or a calculated value? How does the professional tester acknowledge the risk from ELF magnetic filed? Does he think there is a risk from low levels(1-10 mG), a risk from high levels(100-2000mG) or no risk at all. How does the professional tester acknowledge the risk from Radiation? Does he think there is a risk from low levels(lower than 0.1uW/cm2), a risk from high levels(10-1000uW/cm2) or no risk at all. What is the educational background of the tester. Did the professional tester worked or is working for a cell phone, wireless, or electric distributors or manufactures? As you can see now, it is not enough to order a test. You must also understand what the numbers say, how the test was done and when. When you get the report you need to analyze it and and understand it. A professional tester will be a wize decision if you can't do the measurement yourself, or if you need the formal report. Before ordering this service please take into consideration the downsides and problems of the service. Pay special attention to if the tester acknowledge the risk from EMF (RF and ELF), understand what is the test protocol he uses, the standards and regulation he works by, and the way he operates his meter.